Lt. Gov. 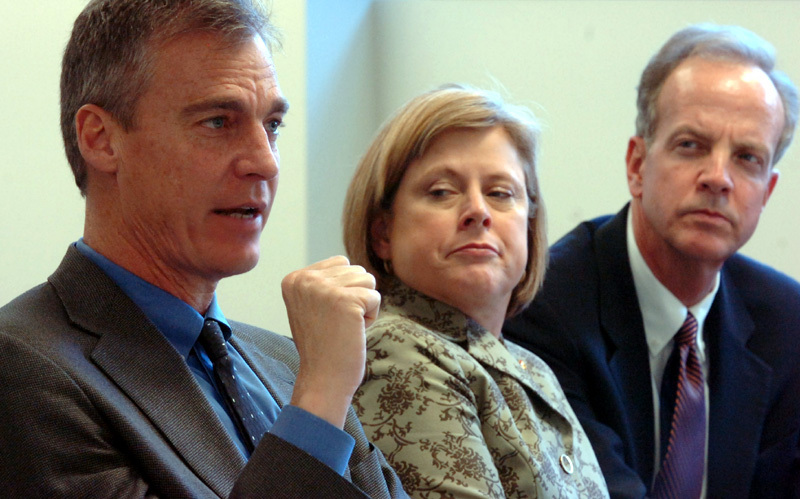 Mark Parkinson, left, addresses members of a task force at the Heartland BioAgro Consortium, along with U.S. Rep. Nancy Boyda, D-Topeka, center, and U.S. Rep Jerry Moran, R-Hays, in this Feb. 2007 file photo. Democratic Lt. Gov. Mark Parkinson announced Friday he would not run for governor or any office in two years, opting instead to return to the private sector. 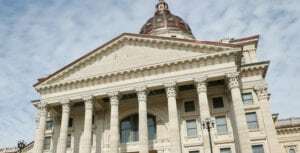 The announcement added another shakeup to Kansas politics before the 2010 election. “I admire those who are willing and able to make the sacrifices to serve the public for their entire careers, but, I’m not one of them,” Parkinson said. His announcement leaves Democrats without a clear front-runner to try to retain the office after Gov. Kathleen Sebelius ends her second term. 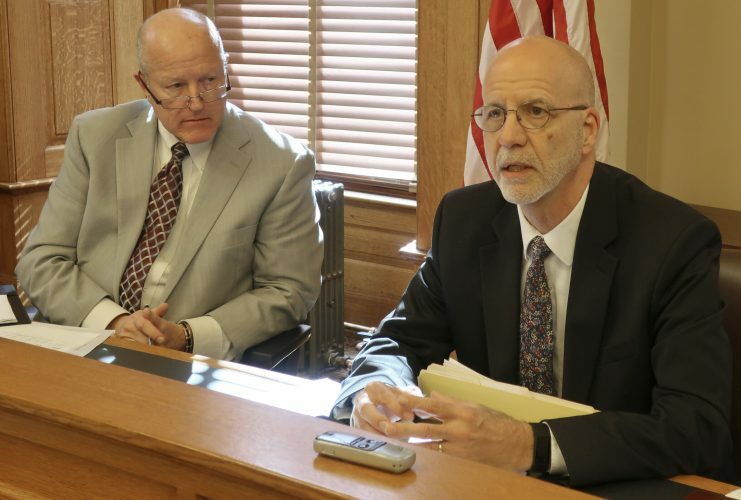 “In my mind, I’d say it’s wide open now,” said Tom Holland, a Democratic state representative from Baldwin City, who was recently elected to the Kansas Senate when the new session begins Jan. 12. In 2006, Sebelius plucked Parkinson, a former Kansas Republican Party chairman, to be her running mate. Pundits said Sebelius had an opportunity to select a lieutenant governor who could be a strong candidate in 2010. “That is out of the window, and that seems to be a little bit like a missed opportunity,” said Bob Beatty, a Washburn University political science associate professor. 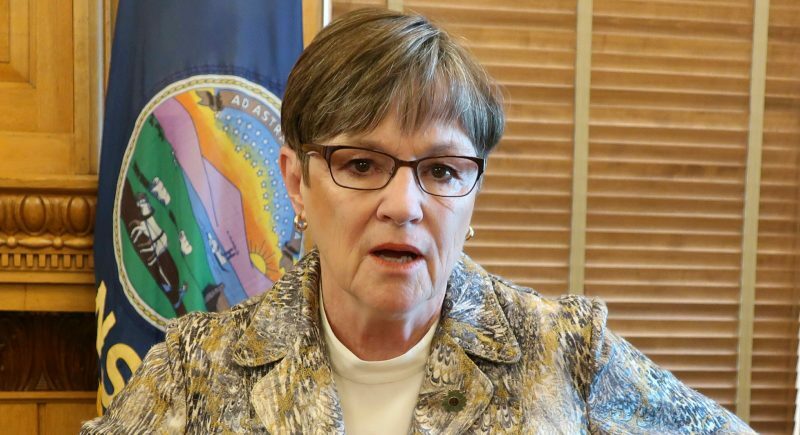 But Larry Gates, chairman of the Kansas Democratic Party, said Parkinson was not recruited to eventually run for governor. Parkinson, 51, of Olathe, was a state legislator in the 1990s, and he and his family own a Johnson County business that runs assisted-living facilities. “We do have to start thinking about the next cycle, but I don’t think we’re going to do that in any haste because there is so much to be done in this legislative session,” Gates said. 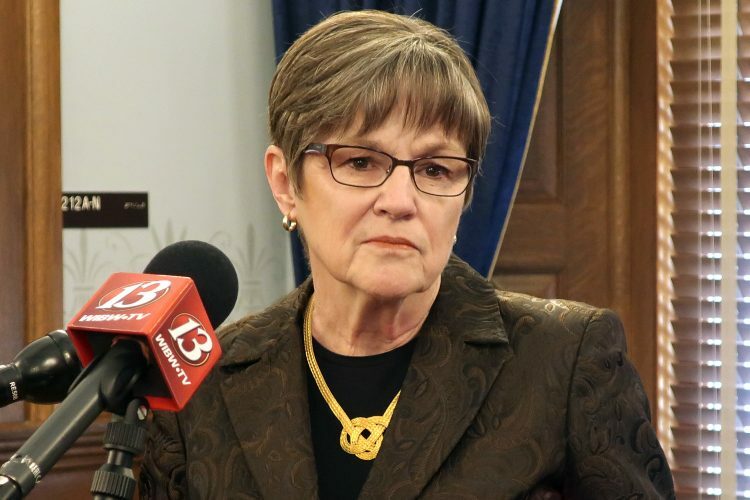 Legislators face a budget crisis when the session begins Jan. 12. Gates said Parkinson has helped with the state’s renewable energy efforts and in making Manhattan the federal choice for the new National Bio- and Agro-Defense Facility. Later this year, Democratic candidates for governor will surface whether they come from public or private circles, Gates said. “(Parkinson) would have been a very formidable candidate, but I think there are others, and I think we’ve got a lot of talented people in the Democratic Party who could run a competitive governor’s race and could win that race,” said incoming House Minority Leader Rep. Paul Davis, D-Lawrence. 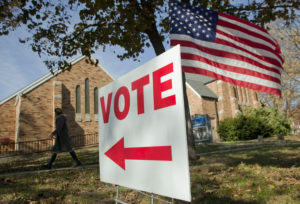 Democrats are faced with the challenge to find a candidate for 2010 with statewide name recognition. Kansas Securities Commissioner Chris Biggs, who narrowly lost a 2002 attorney general bid, could be one possibility, Beatty said. Four-term Secretary of State Ron Thornburgh has announced he would seek the GOP nomination for governor, and U.S. Sen. Sam Brownback, also a Republican, is expected to run. Another prominent Democrat mentioned regularly as a potential gubernatorial candidate is incoming State Treasurer Dennis McKinney, of Greensburg. He served nearly six years as Kansas House minority leader and was appointed by Sebelius to fill a vacancy in the treasurer’s office. The Kansas Constitution prevents Sebelius from seeking a third term, and she has been mentioned for a potential U.S. Senate bid because Brownback’s seat will be open.